You’re going to do it! You’ve decided to train for a 5k! You’re going to get off the couch and start running. Or maybe you’re returning to running after rehabbing a long injury and need a few helpful pointers. Either way, good for you! Running a 5k is one of the most rewarding running experiences I have ever had. The fitness benefits are quick, and the race is lighthearted and fun. As with any fitness goal, though, you should take precautions. See your doctor first if you have any serious medical conditions like heart problems, asthma, or diabetes. More than likely, your doctor will encourage you in your new fitness goals. 2.2 Don’t Forget the Socks! It doesn’t take much to start training for a 5k. 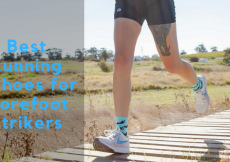 A decent pair of shoes and some good socks and comfortable workout clothes (and a good, supportive sports bra if you’re a woman) is all you need when it comes to running accessories. What you can’t buy, though, is the drive and the will. So go ahead and register for that 5k! Give yourself a specific end goal to work towards. Personally, I like to register for charity runs. It helps to know that I’m running for a purpose greater than myself on those days when I really don’t want to train. Registering for a race before I’m ready gives me the push I need to get out the door and start moving. When I’ve pre-registered for a 5k, I’m less likely to make excuses not to run and more likely to put on my running shoes and train. If you are brand-new to running, training for a race can seem intimidating. But training for a 5k is the best place to start! It’s the perfect length (just over 3 miles) and doesn’t require you to be super fast or fit. Anyone can run a 5k! 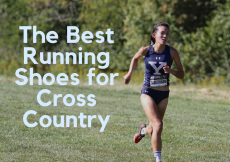 The most important item in your running outfit is, of course, your running shoes. 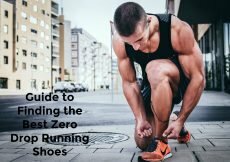 If you’re new to running, you need to be fitted for a pair of good, supportive running shoes. Go to a specialty running store (I went to Fleet Feet) where they can fit you with shoes that support your arch and fit your stride. 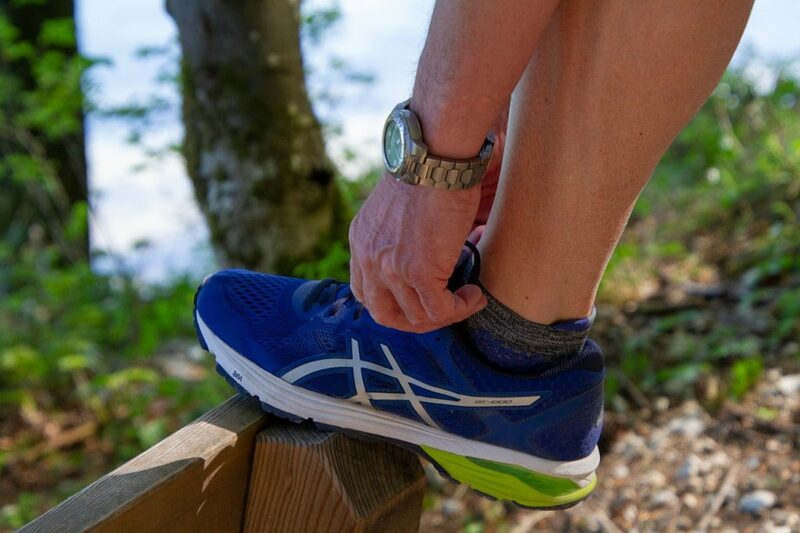 If you’re coming back into the running game after a long hiatus, check your shoes to make sure they still have good mileage on them – you might be due for a new pair. You can check the tread, of course, but a good test is the twist test. Hold your running shoes at both ends and twist – they should feel firm. Old shoes or shoes that don’t have good support will twist easily. Don’t assume that regular socks will stand up to the rigors of a run. Good socks go with good shoes, so look for a pair that wicks moisture away from your feet to help avoid blisters. Look for socks without seams made with synthetic fibers. If you must use natural fiber socks, spring for wool socks. Wool is the only natural fiber which will wick moisture away from your feet. Cotton socks will retain the moisture and cause blisters. With a good pair of shoes and a few good pairs of socks, you’re set! But if you want to get fancy, consider a fitness tracker. (You can find lots of reviews and comparisons here.) Fitness trackers can help motivate you towards your goals and help you keep track of your progress. I use the Fitbit Blaze. 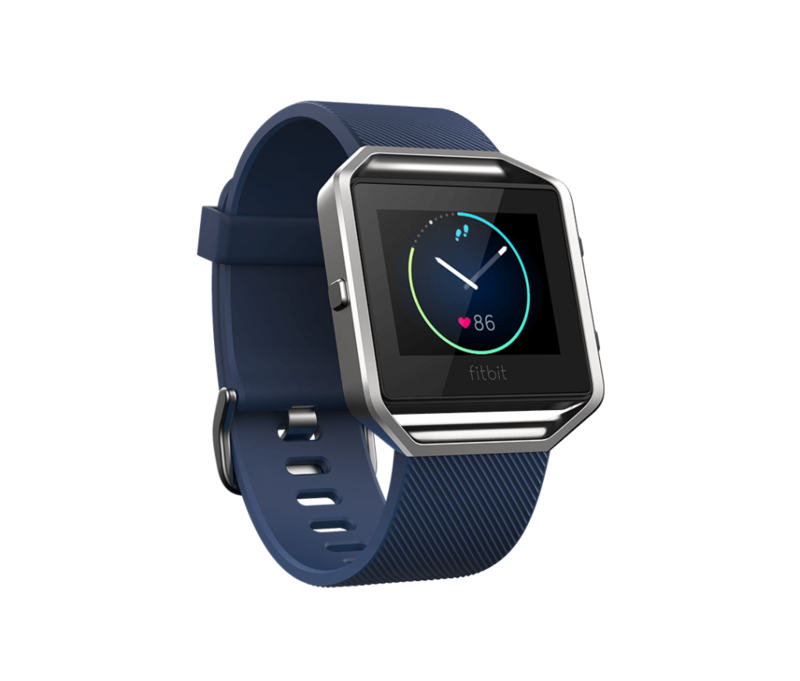 The Fitbit Blaze helps me keep track of my time and distance. It’s fun (and encouraging) to see how far I’ve run in a week. Plus, I can set up goals in the Fitbit app to help me achieve new distances run, more active days in a week, and other fitness metrics. You don’t have to have a fitness tracker to keep up with your workouts, though. If you don’t feel like spending the money, or you just don’t feel like wearing a tracker, consider keeping track of your workouts with good, old-fashioned pen and paper. You want to track which days you ran, how far you ran, and the time it took you to run that distance. As you progress in your training, you will see the miles stack up and start to feel really good about how far you’ve come! Now that you’ve got your running kit, it’s time to start training! Of course, you could just get up and start running, but that would probably lead to setbacks and maybe even an injury. 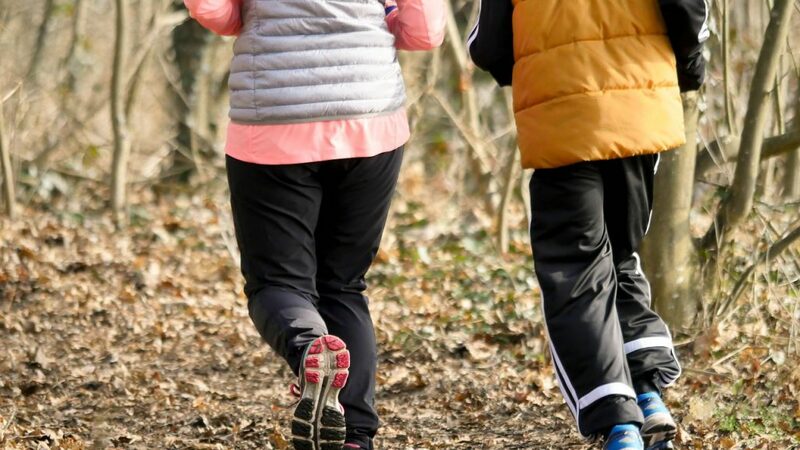 It’s better to follow a tried and true plan – like the C25K (Couch To 5k) plan. The C25K plan is a 9-week plan that promises anyone can go from walking to running a 5k (or running for 30 minutes without stopping) in 9 weeks. Hundreds of thousands of people have followed this plan, including me, and it really does work! At the very least, plan to run 2-3 times a week for thirty minutes each time. And space out your workouts so that you have rest days between them to give your body a chance to recover. Running works large muscle groups that need time to repair and heal between runs. During your rest days, you can do core workouts to strengthen your abs and other muscle groups (like your shoulders) that stabilize you while you run. Save the long static stretches for your post workout cool downs. Dynamic stretching is what you want to be doing before you run. Dynamic stretching gets the blood flowing to the major muscle groups you’ll be working during your run. These exercises include things like walking lunges, donkey-kicks, high knees, and straight leg kicks. Not only do these dynamic stretches increase your flexibility, but they also prevent injury by increasing your strength. Now that you’re all warmed up, it’s time to run! If you’re just starting out, like I was, it’s a good idea to take it easy. Start with one minute of running followed by two minutes of walking. Alternating in this way helps the body ease into the idea of running for longer periods of time. As your body gets used to the idea of running, you’ll be able to increase the length of time that you run. Don’t worry about how fast you’re running at first – speed will come with time. What you want to do at first is build up your aerobic base. 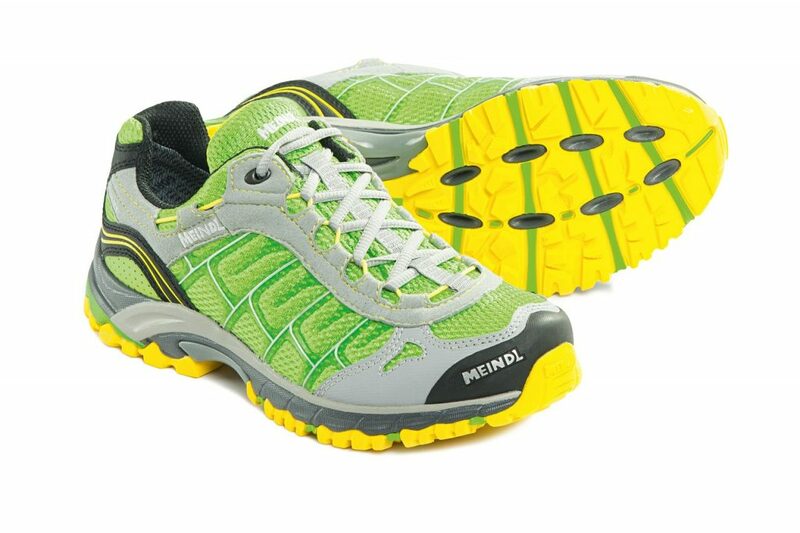 Pace yourself so that your first runs are easy and comfortable. In the first week, only run two or three times so that your body has a chance to rest and recover. It’s important that you don’t push too hard. Your body is doing something it’s not used to doing. It’s training for a 5k after all. It will need a chance to catch up. If you’re not sure what “comfortable” feels like, it’s a pace you feel like you can sustain for the duration of the run, no matter how slow you think that is. It’s better to go more slowly and feel like you could have gone farther than to finish completely exhausted or with an injury. Tune in to your breathing. If you’re gasping for air, you’re pushing too hard. At the end of your run, always cool down. Never just stop. Walk until your heartbeat returns to a normal rate and then stretch. Static stretches should include the calves, hamstrings, hips/glutes, and lower back – all the major muscle groups you’ve been working while you were running. Be careful not to overstretch. You want to feel a gentle pull in the muscle, not pain. Ease gently into the stretch and hold each stretch for at least 30 seconds. Stretching after a run will help increase flexibility, of course, but it will also help you avoid injuries like tendinitis. It’s also important to refuel your body at least 30 minutes after your run. 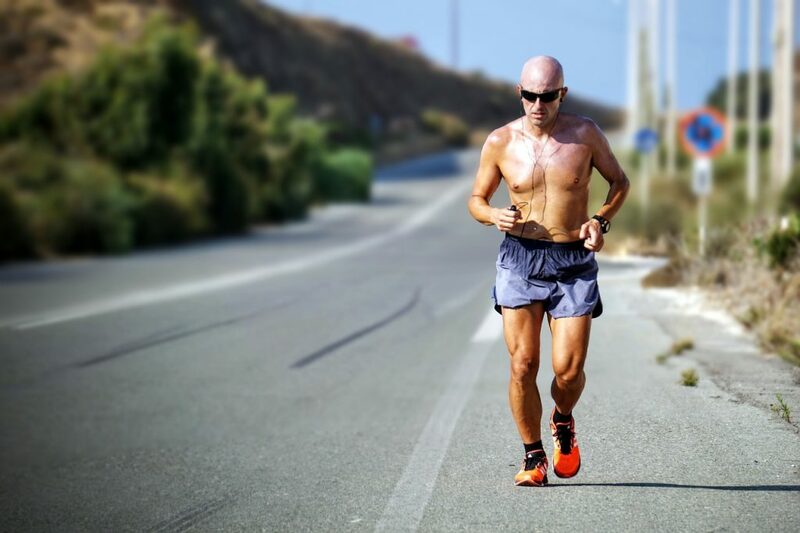 Running depletes the body’s store of glycogen, which the body uses as a fuel source for running. You also need protein after a run to help rebuild your muscles. Choose something that’s high in protein (chocolate milk is a great, easy choice for a post-run snack) to refuel your body post-workout. Once you’ve built up an aerobic base, you can start working on building up your speed. Follow the same pattern you followed to get started, only this time, instead of alternating running and walking, alternate running 1 minute hard and fast with running 2 minutes at an easier pace. Alternating in this way will help you build up endurance, strength, and speed. How a person runs is unique to each individual. Your running form is determined by how your body is built, your strength, and your flexibility. Nailing proper running form takes time and practice. Here are some basic tips to remember. Try not to lean forward too much — run tall! Try not to look at your shoes — look towards the horizon! Keep your elbows at a 90-degree angle and your arms close to your sides. Don’t overextend your stride. Keep your feet underneath you. When running uphill, get your arms into the action. Pumping with your arms and shortening your stride will give you more drive. When running downhill, lean slightly forward to let gravity do some of the work for you. The most important thing to remember is to stay relaxed. If you tense up when you run, you’ll be more prone to injuries. Remember that you’re setting a light, easy pace for yourself. You’re not pushing too hard. You’re just getting started. Focusing on these basics is key for long term success! Don’t compare yourself to others. Comparing yourself to the sleek athlete who clearly runs for a living is just setting yourself up for failure. When you compare yourself to others, you start beating yourself up for everything you’re not and start thinking about everything you think you’re “supposed” to be. (At least that’s what I do.) You are exactly who and what you’re supposed to be. Run your own race. Care for the body you have. Running is a big ask, especially of bodies that aren’t used to physical activity. Be alert to what your body needs. Don’t starve it and make sure to give it plenty of water. Don’t be afraid to push your physical boundaries. We can all go a little farther and a little faster than we think we can. Once you’ve built up your aerobic base, start pushing your boundaries. You’ll be surprised how well your body responds! 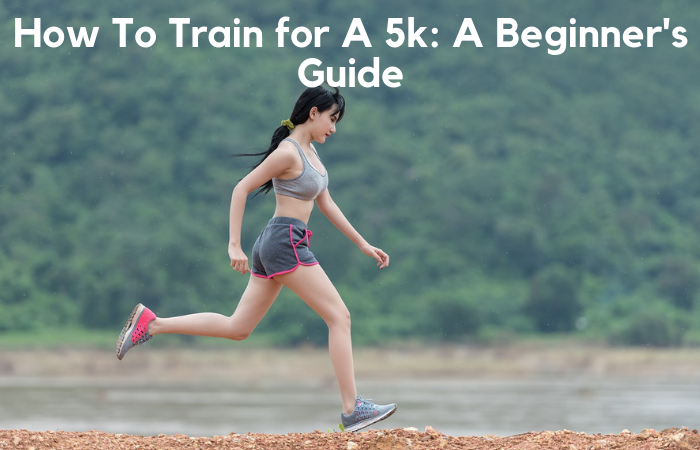 Training for a 5k can be one of the easiest ways to boost fitness levels because it sets a solid goal to work towards. If you commit to your training program, there’s no doubt you will see results. If you’re like me, you’ll fall in love with running and won’t want to stop. Running and training for 5ks will become a part of your exercise routine, and you will have discovered a new joy. Even if, after running the 5k, you decide that running isn’t for you, race day will be exciting, fun, and rewarding! 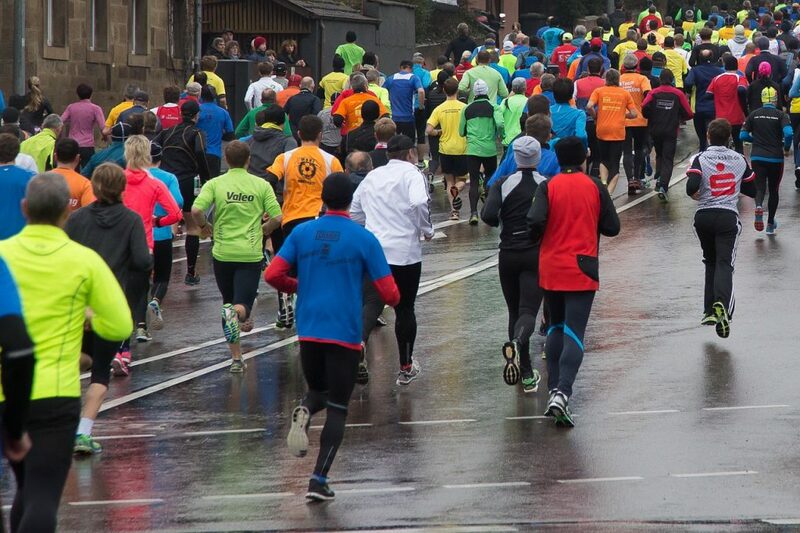 By training properly for the 5k, you will be ready to fully take part in a great event. Stay in the moment, remember to pace yourself, and most importantly, have fun!